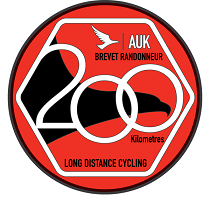 200km cycling event starting from Denmead, Nr Portsmouth. Controls at AMESBURY and CRANBORNE, plus 2 information controls. A fine tour of Hampshire, Wiltshire and dorset. Gentle Hampshire hills ,climb in and out of pretty valley's before crossing the newforest. Pub finish rolls and beer.